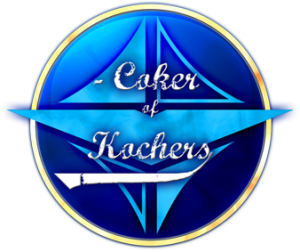 Kochers had the most liked content! 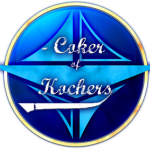 Kochers replied to BoSox Nation's topic in Join the NADC! On the OP: Merkel has put herself in somewhat of a bind given everything and her changed position. I certainly don't envy her, because it produces content like this. In response to Tank: You know as well as I do that political cartoons like this one are much more about Merkel than about the people mentioned. I don't agree with the cartoons caricature, but I do understand what it's trying to convey and the origins of that concern. And I believe you would agree, there is something to be said about turning your back on your friends, so to speak (the Ukrainians) in favor of those who are almost entirely dissimilar to you when both are in need. Zygon: I hope you realize you contradicted yourself. Those who wish harm on the United States are a majority, but then they are just a few? That does not make any sense. Haart: While your claim would be inaccurate, that doesn't mean that we'd jail you for it. The answer to speech you disapprove of isn't censorship or jail sentences, it's more speech. I think when DW first showed up, I actually did a general background check on him with information from our original forums on the OIN Dark Wizard. At least then, they didn't seem to have any overlap, but I do remember bringing that up with the Cabinet at the time. In my view, not much came out of Iowa. New Hampshire is when the race will truly narrow. In the meantime, I shall continue to support Governor Kasich. I'll be upgrading later this week, but right now I've heard fairly positive things. It seems to be a much greater improvement for Windows 7 machines, so if you love Win7 I would definitely recommend upgrading in the next few months. The total OS size is greatly reduced, as is the OS consumption of RAM. I believe you can get around 300mb back, which is substantial for older machines that would still be running 7. Hey may be one of the ones standing, but Cruz won't win the GOP nomination. He's incredibly divisive within the party as well, and almost universally disliked by his colleagues in the Senate. None of them want to see him President. Walker has a much better shot at the nomination. I actually watched the whole thing. Yeah, that's basically spot on. I've had a passionate hatred of the NCAA for some time now. The End for the US Constitution? The Convention of States Project seems to think it can be done in a rather limited matter. Whether that'll actually happen or not, I'm not convinced. What is your opinion of Ronald Reagan? I think it's a fairly weak argument that Reagan wasn't a key factor in the dissolution of the USSR and the end of the Cold War. Obviously Gorbachev played a role as well, but Reagan's decision to radically increase defense spending during a time of critical weakness in the Soviet economy had a major impact. Couple this with Reagan's personal diplomacy by starting out as a fierce critic of the USSR but slowly developing a relationship with Gorbachev was also critical. Thinking that Reagan was an empty shell is like thinking that the switch from FDR to Truman at the end of WW2 didn't have a huge impact on post-war USSR-American relations. Personal diplomacy by world leaders can and does have a huge impact on critical international events. His strategy was a major reason for the fall of the Soviet Union. For that reason alone, he was a great president. I really can't imagine any scenario where I would make use of such laws if they were enacted. When I was young, my grandfather had a progressive case of Alzheimer's, which can be incredibly difficult to watch your loved ones undergo. The last time I saw him, he didn't really recognize me and sometimes didn't recognize even his own kids. Still, I think those last 18 months or so were incredibly precious to my dad and his siblings. While I'm hesitant to say that's normally the case, I think going down fighting is the better path. That logic isn't going to get you very far in life. Just going to throw that out there. People take lots of different things seriously, whether that be their religious or political beliefs, their obsession with sports, television, what have you. Disregarding that out of hand is likely to cause problems at some point.